At regular prices these items would come to $105, so $80 is a steal of a deal! Choose the shipping option that applies to you from the dropdown menu below, and then click “Add to Cart”. This will open a Paypal check-out screen in a new window, where you can indicate how many (1 or more) Gift Packs you wish to purchase. You can then continue through the payment process, either via your Paypal account if you have one, or via credit card (without a Paypal account) if you prefer. You will also be prompted to enter your address for shipping. NOTE: If you would like us to ship your Gift Pack directly to the person you are giving it to, complete with festive packaging, we would be pleased to do that! 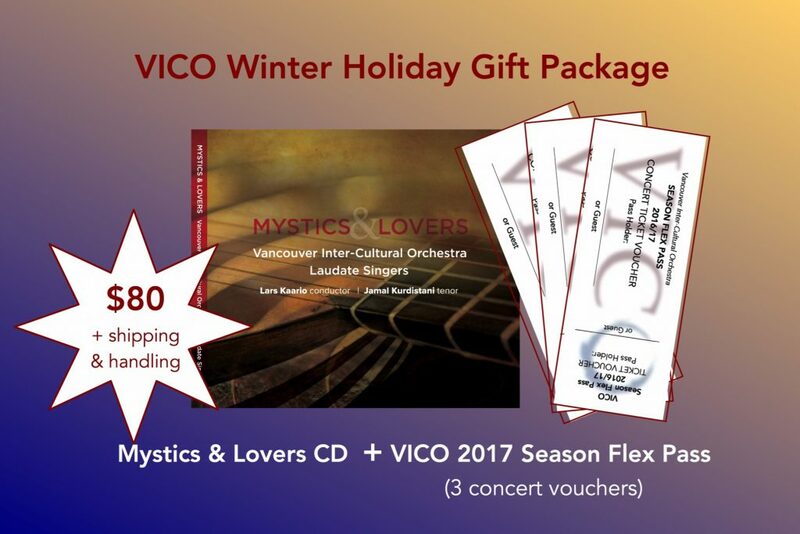 Complete the purchase as normal (using your own address) and then e-mail us at info@vi-co.org with the particulars. Thank you for your support, and best wishes for the season from the VICO!